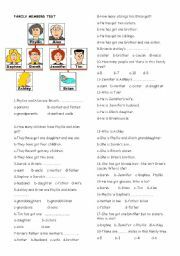 If you what to make your children learn the names of illnesses you can use this test.Have a good day. You can use it while teaching personal qualities. 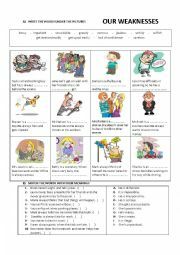 You can use this worksheet to practice jobs and what they do in simple present tense .I hope you ll enjoy it. 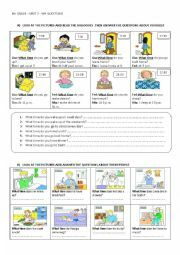 You can use this worksheet while teaching �What time� question form with simple present.I hope you�ll enjoy it. 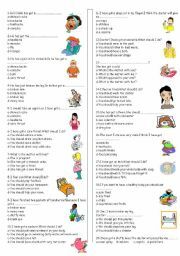 You can use it while teaching simple present wh question form. It includes only how to use qoestion word �what�.I hope it�ll be useful for you. 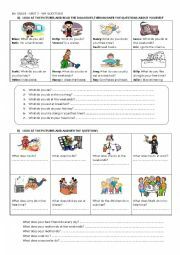 It�s an exam for 5th grade students in Turkey.I hope you�ll enjoy it . you can use it as an exam. I wanted to teach my students for or since subject effectively by getting help form pictures.I hope you enjoy it. 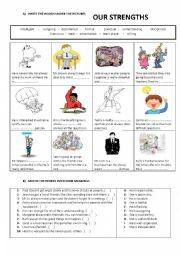 use these animate pictures while teaching present continuous. You can use this while teaching future time. You can use this pp while teaaching the future tense. 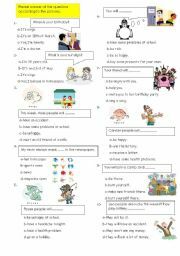 Teach the basic structures like �can- can�t - likes - dislikes and characteristics� having fun with cartoon characters. teach passive more efficiantly with this material. I wanted to teach my students some christmas jokes.I hope you will enjoy it. My students have learned with this material better. It was wonderful to teach using these animate pictures.